Woodworking nightmares! 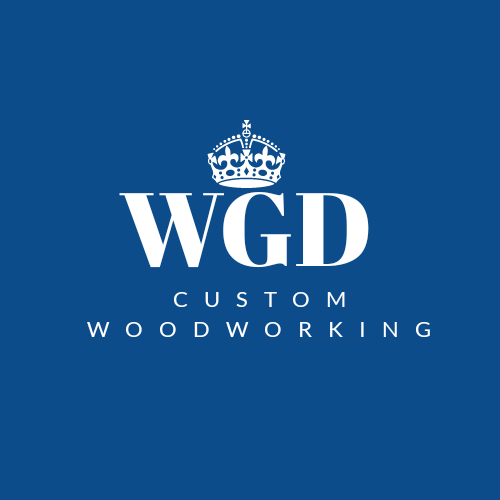 – Wood Grain Dreams Co.
A couple of weeks ago I was in the final stages of a large jewelry box I was working on and I had book matched a piece of mahogany to place in to the frame of the lid. When cutting a piece like this, that’s going to be placed into the frame of the lid, it needs to fit snug with no spacing, so your table saw cuts need to be extremely precise to say the least. White oak and purple heart keepsake box. So there I was just about to make my cut when, “Hi Dad!” my 8-year-old daughter decided to visit me in my shop. So no biggie, I started talking to her and told her I was about to make a cut so she should take a couple of steps back. I made my cut and continued talking with her because it’s not everyday she comes and hangs out in my shop. Nope, just when I’m about to make the most important cut on my project, ha! Don’t think she’s been out to my shop since. So, needless to say, when I went to see how it fit it was about a half-inch too small. Ugh! She instantly saw the look on my face and decided it was a good time to skidaddle. I mean yeah, this story could have ended in a lot more nightmarish way’s, such as a 8-year-old girl getting hurt by a table saw or something and you might say I’m making a big deal out of nothing but after you put in countless hours, materials, and energy into something that you have no way of fixing because you used all your wood long enough to work on it, it’s pretty devastating. So the lesson here is to always be conscious of what you’re doing and double checking a measurement here and there never hurts either. Thanks for reading! Wood Grain Dreams. Lid after adding extra trim to make book match fit correctly. Previous To Sand Or Not To Sand? Next Making use of scrap wood.